As part of the supply team of Eli Lilly, Coperion K-Tron provided feeding and material handling solutions for the continuous process. 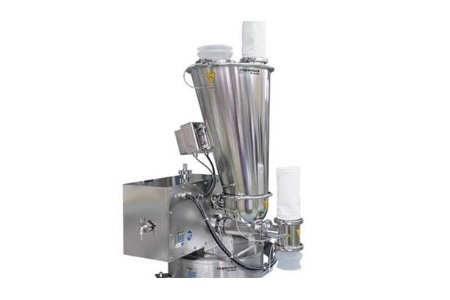 A Coperion K-Tron pharmaceutical feeder is used to feed each component of the direct compression blend. The superior accuracy, coupled with an innovative control system, makes the Coperion K-Tron gravimetric feeder a critical component to the continuous direct compression process. Specially engineered designs for ease of access and cleanability, as well as integrated control platforms were also important attributes of the continuous feeding systems at Lilly.